Back in 2013, Coca-Cola had launched an ad campaign with a strange series of games, videos and nightmare fuel that populated a series of websites that could all be traced back to ahh.com. It’s called the “Ahh Effect” campaign. Each site was a variation of “ahh,” extending from two Hs way up to sixty Hs in the URL. 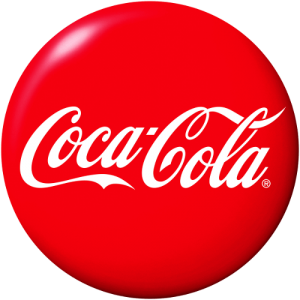 However, it remains to be seen if Coca-Cola will go the extreme route and get all the way up to 1,999 Hs in their domain. Ahhhhhhhhhhhhhhhhhhhh.com brings to you series of videos of cats playing with Coca-Cola boxes. Ahhhhhhhhhhhhhhhhhhhhhhhhhhhhhhhhhhhhhhhhhhhhhhhhhhhhhhhhhhhh.com is a fun game, you have to try and collect as many cats as you can, as you are a laser pointer. However, you need to be cautious because the cat gets pissed when clicked on it, which in turn ends the game. Another cat game is over at ahhhhh.com, which displays close-up of a photo and you need to select if it’s a cat or not. The marketing team at Coca-Cola believes that the audience is fond of cats and hence, their videos are more cat based. On the other hand, they too do have videos that are contributed by fans, or painting of an aardvark with a can of Coke, or music videos by Kurt Schneider. So, who was this mysterious campaign targeted toward? And why did you probably never see this? The answer to everything is Millenials. The purpose behind this was to get the lot of younger generation back to the soda pop fold. While the campaign has been visited by more than 4 million users on its website, it has not done much to increase the sales of the soda. If you are interested to see what the 61 ahh’s of Coca-Cola has to offer, just grab a Coke and go for it.